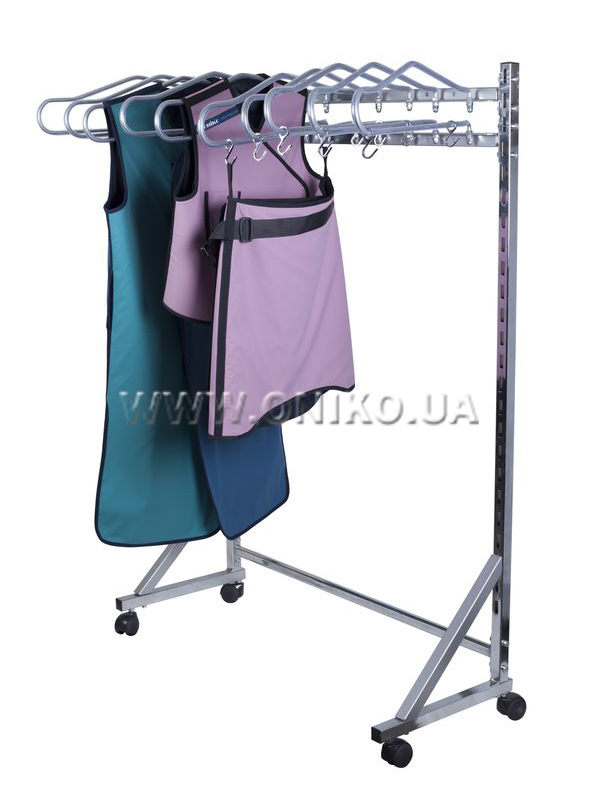 Hangers for PPE ONIKO are intended for the storage of personal protective equipment (PPE). Hangers can be used in stationary x-ray rooms of medical and preventive treatment facilities and private clinics, as well as in operating rooms of interventional radiology with a large range of protective equipment. 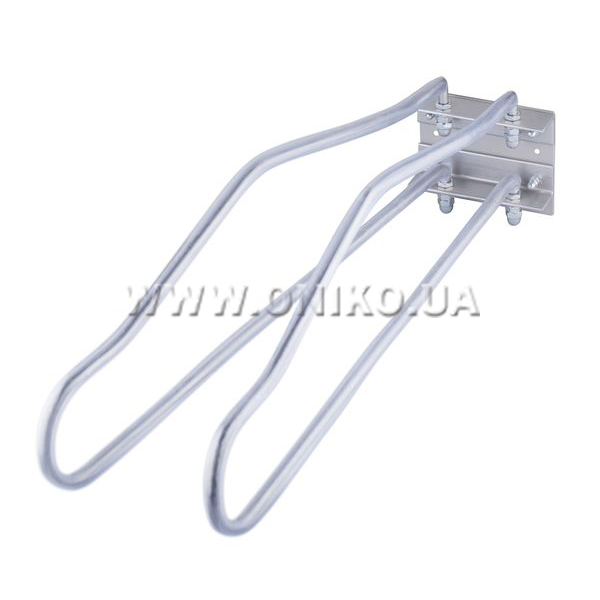 Hangers are made in 2 versions: mobile and stationary with fastening on the wall. Stationary hangers consist of a bracket on which the shoulderpads are also mounted that are moved around the axes. A PVC tube is worn on the shoulderpads, so that metal does not come into contact with the protective equipment. The number of shoulderpads and the size of hangers depend on the application of the consumer and are in the range from 2 to 10 pieces. One-sided, double-sided aprons, vests and bathrobes are hung on the hangers through the armholes of protective equipment. Skirts looped to the hooks mounted on the bottom of the hanger. Collars and belts hang on the bottom of the shoulders.